True artisans embody their craft, steeped in the history, essence, and values of their work. John Lewis is barbecue — Texas barbecue — and he is bringing his craft to the Lowcountry when Lewis Barbecue opens this Fall in Charleston. Now, tartisan has become a marketing term lately, used almost to the point of being trite, so I hesitate to saddle him with the baggage, but Lewis is the antithesis of cliché. He is authentic, a true craftsman. That is obvious when you hear his story. Lewis is Texas born and raised, growing up in El Paso and spending much of his adulthood in Austin. 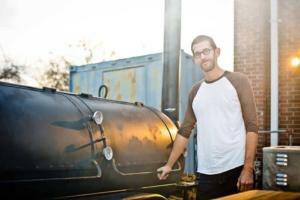 He helped Aaron Franklin, a recent James Beard “Best Chef” award winner and PBS/YouTube star, start Franklin Barbecue. He is part owner and pitmaster of La Barbecue in Austin. In short, he is Texas-tanned, more than skin deep. Like many, Lewis was drawn to the beauty of the city, as is common, but the food scene here was also a real temptation. Charleston is home to great chefs and a rich culinary tradition. At the same time, it is also new and emerging on the national level which makes Charleston vibrant and inviting for those, like Lewis, who work in the highest levels of the food industry. Beyond that Lewis saw an opportunity, an opportunity to get away from Austin, where he had been for 18 years, an opportunity to begin something that was all his, and an opportunity to bring something true, yet different to a place that loves great food. Lewis is in the process of converting the old Charleston Consignment Company on the corner Nassau and Isabella into Lewis Barbecue, spelled “properly” with the letter c. This is in the north Morrison Ave. section of the “upper peninsula” of Charleston fondly referred to at the “NoMo” area. Nearby, there is already Edmund Oast, Martha Lou’s Kitchen, Santi’s Restaurante Mexicano, Taco Boy, and Tattooed Moose. In addition, Grow Food Carolina, a distributor that helps local restaurants get access to local produce is in the area, and Lewis looks forward to being able to select fresh, local ingredients from which to build his menu as the seasons dictate. Now, those of you not from around Texas, may be a bit leery of “hot guts” and those of you from around Salley, SC, home of the Chitlin’ Strut, may have your own idea what this means, but to be clear, hot guts is simply a term for sausage, taken, I assume, from the casing which is used to… well, encase the sausage meat. Sausage is a staple of Texas BBQ and Lewis reportedly makes quite a spicy version. Among other things, his hot guts include ground brisket, beef heart, and liver in a pork casing. Hot Guts won’t be the only new addition to the SC BBQ table, brisket will be as well. Brisket and sausage can, of course, be found at many of the newer BBQ restaurants in SC, but it certainly is not traditional to our area. When South Carolinians mention “barbecue,” we generally mean pulled pork (preferably from a whole hog). And while brisket has found its way to BBQ joints in the state, I feel safe in proclaiming that there is not a pitmaster in the state who knows brisket like John Lewis. So what do we need to know about brisket? Lewis learned to cook great brisket with experience, and that, he has a lot of. In fact, he left Denver in 2009, where he was working as a pastry chef…yes, a pastry chef who was doing competition BBQ for fun, to join Franklin to start Franklin BBQ, as mentioned above. Lewis continued to compete in BBQ competitions, winning more than his share of events. In fact, he left Franklin after about 3 years, planning to move to California to compete. 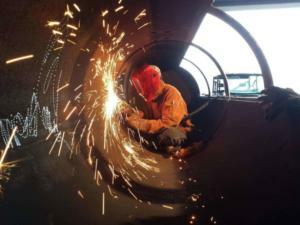 Lewis had to work with the existing equipment but found it lacking, even after making a number of modifications. He eventually scrapped it and built his own pit. He knew what he wanted and through “trial and error” he eventually found the right design. John Lewis working in a new BBQ Pit. 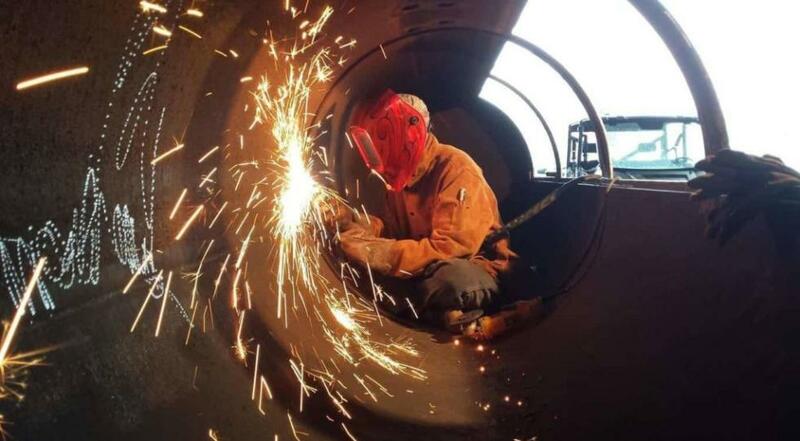 Today, Lewis actually builds and sells pits with his now-retired father in an Austin-based business named Austin Smoke Works. He reportedly will be happy to sell to the right type of customer as long as they don’t work in Austin or Charleston! In fact, when I first spoke with John, the pits for Lewis Barbecue were on their way from Austin. There will be 4 pits built from 1,000-gallon containers, and they are designed for brisket. The pits have a capacity to handle to 3,500 pounds of meat a day. In addition, there will be 5 vertical sausage smokers on site. 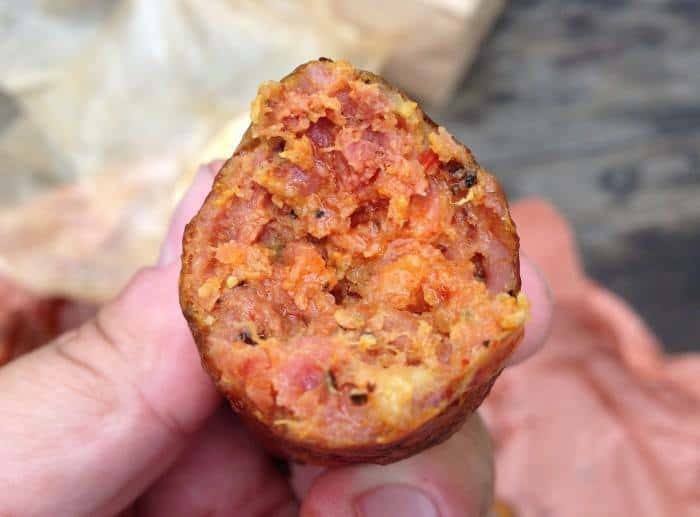 All of this experience is what has led Lewis to be considered among the best pitmasters in America and why we should expect exceptional BBQ this Fall. In addition to the meats, Lewis promises an assortment of sides. While the offerings will be seasonal, he said Lewis Barbecue will be serving potato salad, coleslaw, pinto beans (“cowboy campfire style”), mac and cheese, and since he’s a fan of green chili peppers we can expect to see them as well. As for the meats, there will, of course, be lots of beef. It will have a “simple seasoning” of salt and lots of black pepper. The “focus is not on the sauce,” Lewis said. “Sauce should not be needed.” There will, however, be sauce available for those who don’t know better. Curious, I asked John if he got to pick a meal for his last supper what it might be. “It won’t be brisket. I can’t stand it anymore!” he immediately replied. Not exactly what you might expect? Well, John Lewis will bring the unexpected to SC this Fall. And while some are skeptical that Texas BBQ will succeed so far from its home, if Lewis Barbecue has a chance, Charleston is the right place to do it. Note: Photos from the Lewis Barbecue Facebook site. You are invited to meet John and enjoy samples of Lewis Barbecue at Revelry Brewing each Saturday from June 6 – Sept. 5….while supplies last! 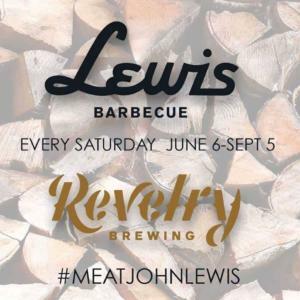 John Lewis and Lewis Barbecue and Revelry Brewery team up for a summer BBQ and Brew series.